Discussion in 'News and Current Affairs' started by ghazi52, Mar 23, 2016. ISLAMABAD: The nation is celebrating the 76th Pakistan Day on Wednesday with a renewed pledge to make the country stronger by eliminating terrorism and achieving sustainable economic growth and greater political stability. 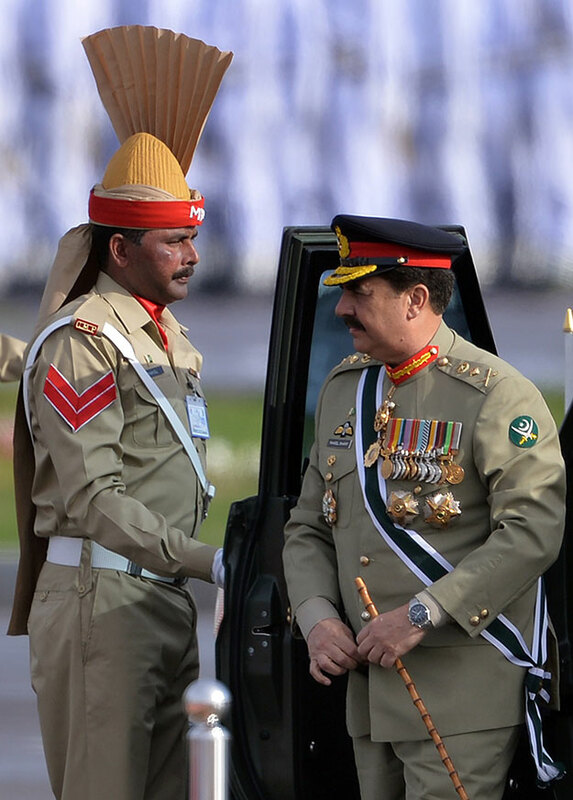 A joint military parade was held at the Parade Ground near the landmark Shakarparian hills in Islamabad. 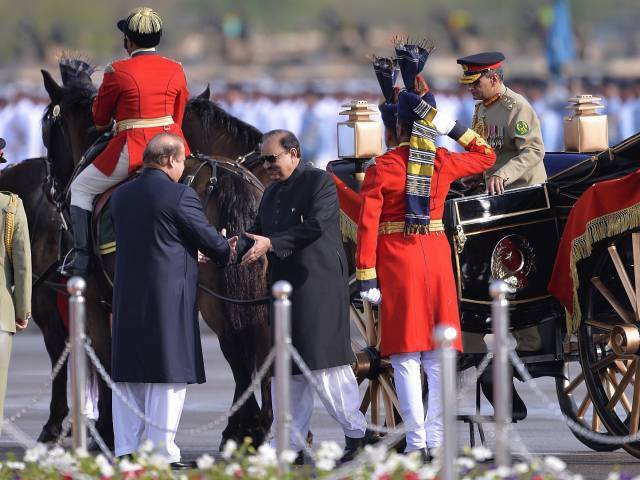 Personnel from all three services, Pakistan Army, Navy and Air Force participated. Prime Minister Nawaz Sharif, President Mamnoon Hussain and Chief of Army Staff General Raheel Sharif were in attendance along with Chief of Naval Staff Admiral Mohammad Zakaullah, and Defence Minister Khawaja Asif. 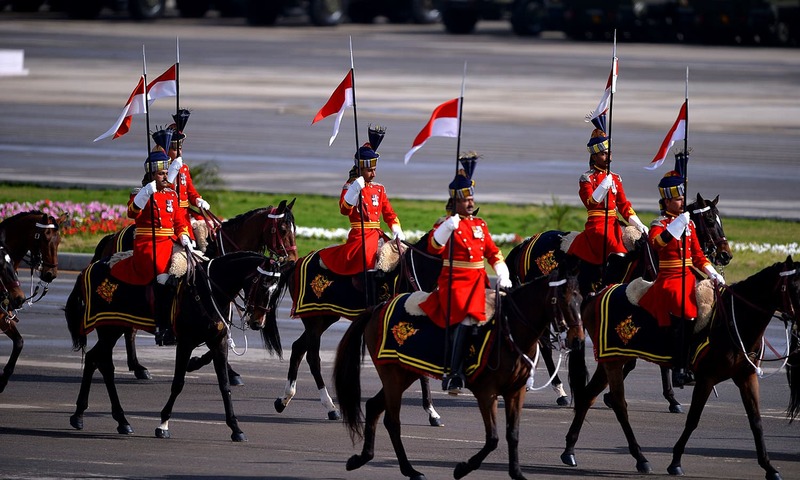 Contingents of the Pakistan Army, Pakistan Air Force, Pakistan Navy, as well as the Frontier Corps and Pakistan Rangers, each held an individual march-past, followed by a salute to President Mamnoon Hussain. 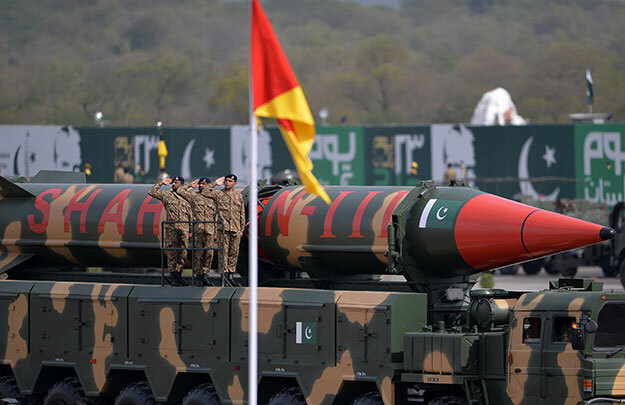 The day, which marks the historic event in 1940 when the Lahore Resolution was passed demanding a separate homeland for the Muslims of the subcontinent, dawned with a 31-gun salute in the federal capital and 21-gun salutes in provincial capitals. Special prayers were offered in mosques for the integrity and solidarity of the country. The ceremony began with the singing of the national anthem, followed by an address by the president, chief guest of the event. 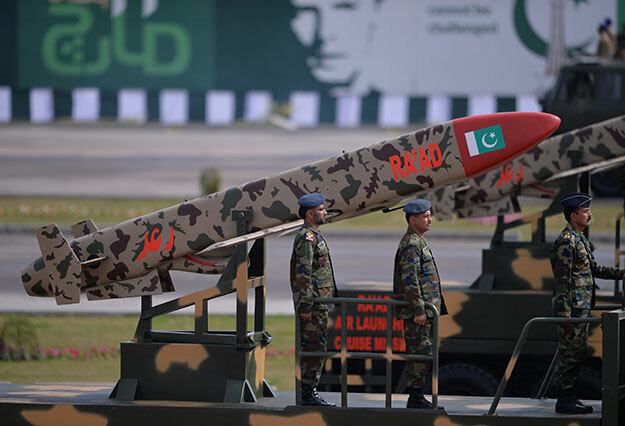 Addressing the ceremony, President Mamnoon lauded Pakistan Army’s stance on fighting terrorism and their sacrifices in the ongoing Operation Zarb-e-Azb. 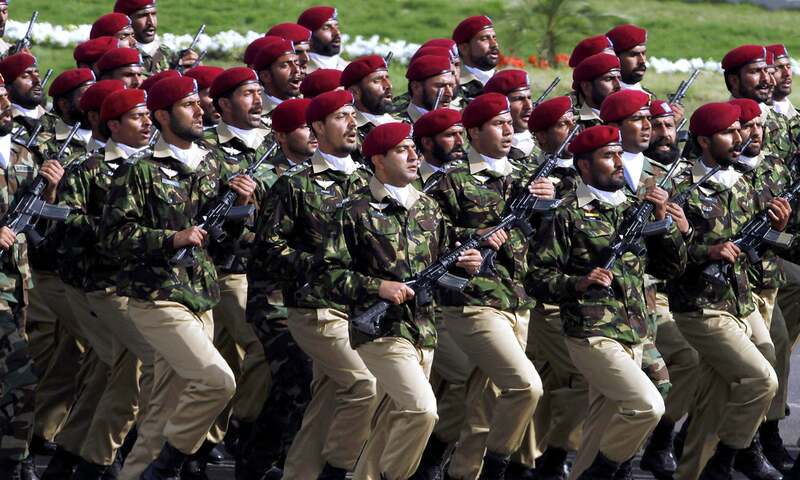 Special forces from the Special Services Group (SSG) march during the Pakistan Day military parade. 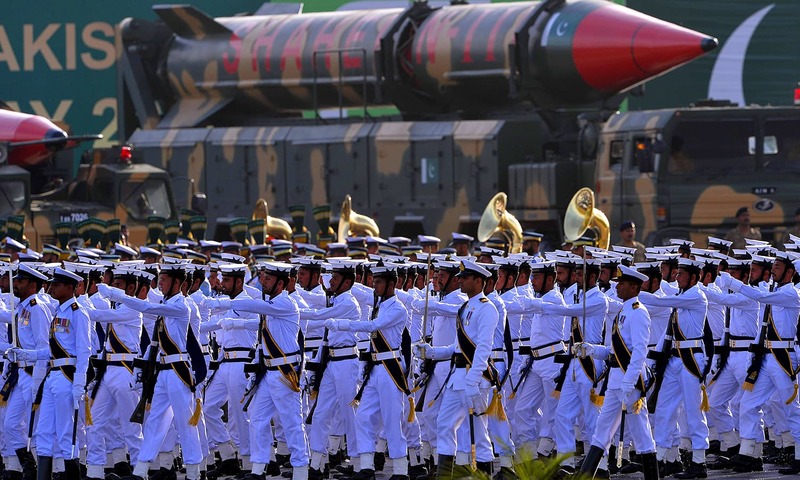 Naval soldiers march past long-range ballistic Shaheen III missiles during the Pakistan Day military parade. 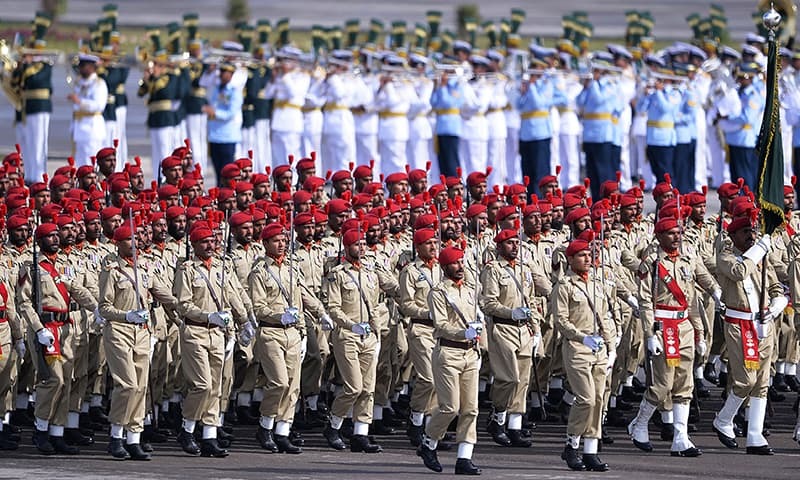 Military personnel march during the Pakistan Day military parade. 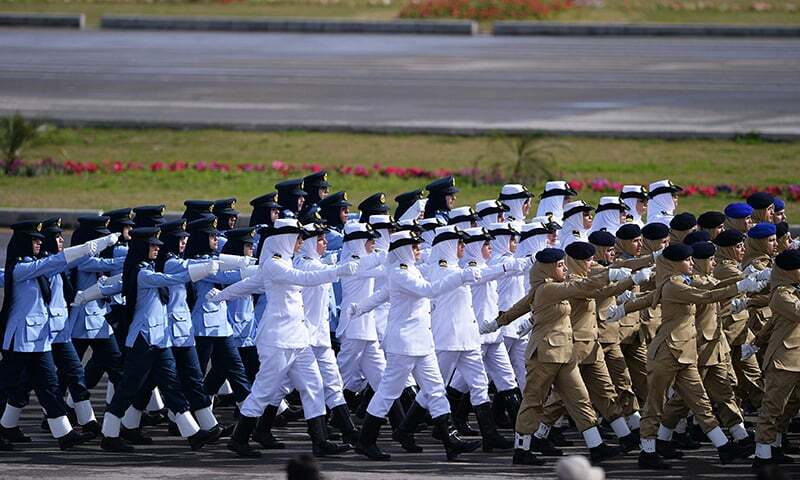 Female armed forces personnel march during the Pakistan Day military parade.